Fire & Life Safety America offers competitive pricing—backed by years of expertise and knowledge—without sacrificing the quality and service that have been FLSA’s standard. Our design and estimating staff are experienced and knowledgeable regarding the design and specifications for all types of fire protection and life safety systems installation, including residential and special hazards systems. We offer the customer several key services throughout the construction cycle. In the preliminary stages of a project, we may assist the owner in evaluating what is needed, or may advise on code requirements. FLSA’s estimating and design team can develop a specific proposal based on the engineer’s specifications, and offer the most economical and cost effective design and installation plan that will also meet codes and regulatory requirements. To accomplish this goal, we work closely with the local AHJs, the architects and engineers, the owner, and the insurance companies. A Fire Protection Engineer reviews and advises on any design and installation issue that arises. Each office’s design team is led by a highly qualified and experienced Design Manager, to assure the highest quality design with the most efficient and cost-effective installation plan. Our designers are NICET certified, with knowledge and experience in building codes and insurance requirements for a wide variety of building uses. A fully integrated network system allows our designers, estimators, and field managers immediate access to our electronic design files. We can easily communicate design changes via the internet, and information and revisions are transmitted with minimal time delay. Design and estimating for retrofitting buildings such as historic structures and those which must be renovated under special circumstances is another area of expertise within our company. Here again, the experience and knowledge of handling the unexpected during construction and renovation provides our clients with superior service. 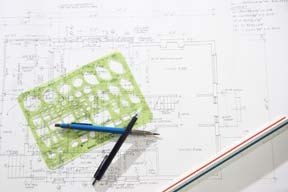 Whether you are seeking an estimate for a design/build project, have a specific proposal ready for pricing or sealed-bid, or are in the preliminary stages of planning a project, our designers and estimators can provide problem-solving, project management skills from the initial plans through to closing the project.